Your kitchen will always be the center of attention and what brings the most value to your home. Our Mocha Cabinets will provide your home with a cozy and modern look that you and your family will enjoy. The kitchen is the hub or heart of any home, and often the first thing people view when visiting. It is where food is prepared, and where guests congregate at get-togethers. 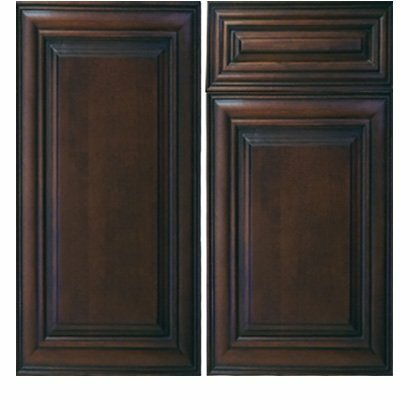 With Stone International, ensure your first impression is always a positive one with our mocha cabinets! Stone International can revive your home with our popular mocha cabinets. When selecting the perfect kitchen cabinets from Stone International, you can ensure an unfrightening decision. We utilize care and provision from beginning to end when offering you quality, reliable kitchen cabinets. Our cabinets composition is all-wood, utilizing no pressboard whatsoever. Our cabinets comprised of wood materials ensure a long-lasting, durable product. No situation is worse than spending a time and money investment on a home remodeling project, only to find that the products you entrusted begin to degrade after a short period of time. When selecting products from Stone International, we ensure that all steps are taken throughout our quality control process. With our kitchen cabinets, you can be certain that your investment provides enjoyment to both you and your loved ones for a lifetime. Something we provide, that we find many cabinet suppliers don’t lies in the subtle details. We stain our box interiors to match the exteriors. This creates a uniform aesthetic, further adding to the luxurious and complete look of our kitchen cabinets. We provide all this while ensuring there is no additional middleman markup on any of our products. One of our utmost goals is to supply our customers with a durable, reliable kitchen cabinet products for a wholesale value. Our team likes to look at themselves not just as a bunch of carpenters with hammers in their belts, but also as interior design specialists. When we install a cabinet in your home, we take care in every aspect of both installation and design. The installation team will ensure cabinets are installed level on your walls, screwing them securely and safely into durable wall studs. Once the cabinet leveling and securing is complete, the team makes sure that they are in line with both the wall with no gaps in bases to the floors. Depending on your home, the base cabinets will be measured and shimming may be needed to assure that the cabinets are in place properly. Our installation process is thorough, and lets customers know we mean business when it comes to kitchen cabinets. These fixtures in places of your home installed properly on walls with a stud ensure their permanence, and ultimately their safety for your family’s use. At Stone International, we install cabinets perfectly to your style and needs. Once you’ve had a set of cabinets perfectly installed, you’ll want to give any reason to invite friends and family over for a delightful home gathering. For more information on our cabinet installation procedure of Mocha Cabinets, contact one of our specialists today! Stone International offers a complete design service from the measuring of kitchens and baths to the magnificent 3D design of your dream kitchen and/or bathroom. We accomplish this design modeling through the use of our modern design software. Once our design team receives the measurements from your existing kitchen, they implement the data into our software. The software then displays a three-dimensional modeling of your kitchen where you are able to see in real time how our products fit in your existing space. This software is one of the many reasons that set Stone International apart from our competition. Aiding our customers to make the best possible selections for their homes. The cabinets we offer are in-stock at our warehouse. We offer quality installation and fabrication services for all of our products with a quick turnaround time. In fact, we have the quickest turnaround time in completing your kitchen in the entire Miami-Dade Area. Or you may choose to do-it-yourself with our easy, quick, ready to install cabinets. They are available in most cases for same day pickup. We believe in a commitment to excellence, quality, customer service, and the best price structure in Miami. Stone International values customer service and satisfaction as a mission statement, far more than high-profit margins and huge bottom lines. With this in mind, your satisfaction is our #1 priority.